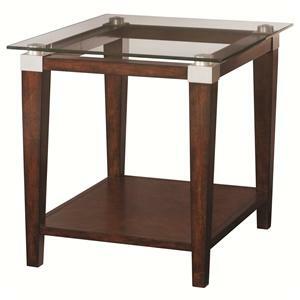 This sleek and stylish occasional table is a piece of furniture sure to add a sophisticated polish to your living room decor. 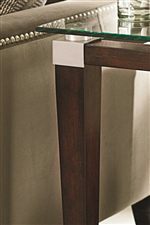 This chic table features modern design accents like tall, tapered block legs, square mouldings, and a glass table top trimmed with bright metal hardware. 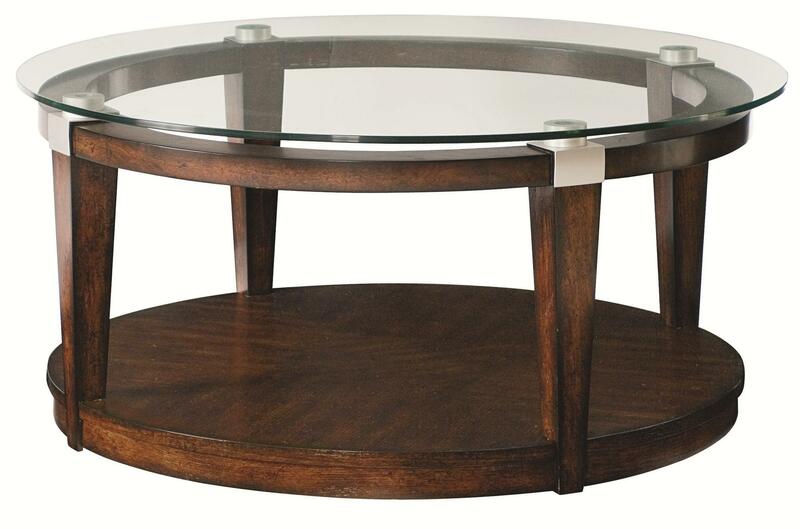 A stylish and functional piece, this round cocktail table will brighten your room with its glass surface, an exceptional place for you to display a vase of flowers or a mod decorative object. 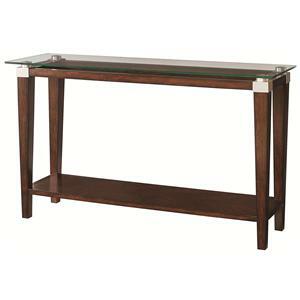 The bottom pedestal base forms a shelf surface where you can store coffee table books, magazines, or a storage basket. 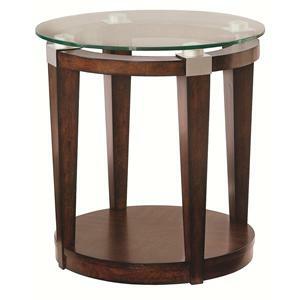 The Solitaire Contemporary Round Coffee Table with Glass Top by Hammary at Hudson's Furniture in the Tampa, St Petersburg, Orlando, Ormond Beach & Sarasota Florida area. Product availability may vary. Contact us for the most current availability on this product. 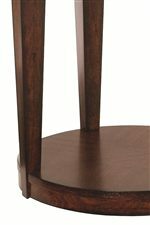 The Solitaire collection is a great option if you are looking for Contemporary furniture in the Tampa, St Petersburg, Orlando, Ormond Beach & Sarasota Florida area.